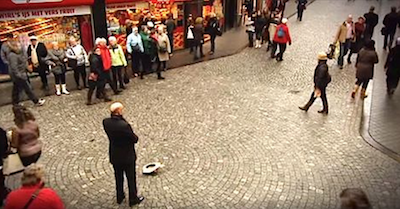 This Old Man Drops His Hat On The Street, Now Keep Your Eye On The Crowd! Martin Hurken’s was a baker for 35 years, who had a lifelong dream to become an opera singer. Every day at work he would sing songs, and customers delighted in his sound. But one day he lost his job, so Martin went on the street and did this!